Costa Fathom sunglasses are perfect for those laid back days on the beach. Designed from Costa's beach to sea product line, these shades are made for those that are looking for some functional, lifestyle sunglasses. The size of the glasses is going to be tailored towards a medium fit. While the style is more of retro design, complete with the perfect combination of comfort and style. Check out our video below for more information on the amazing features that these offer! All of Costa's sunglasses come with their signature polarized lenses. Costa Del Mar is the first company to develop polarized, color enhancing lenses. (What is even more amazing, is that you can order Costa lenses in prescription through SportRx!) 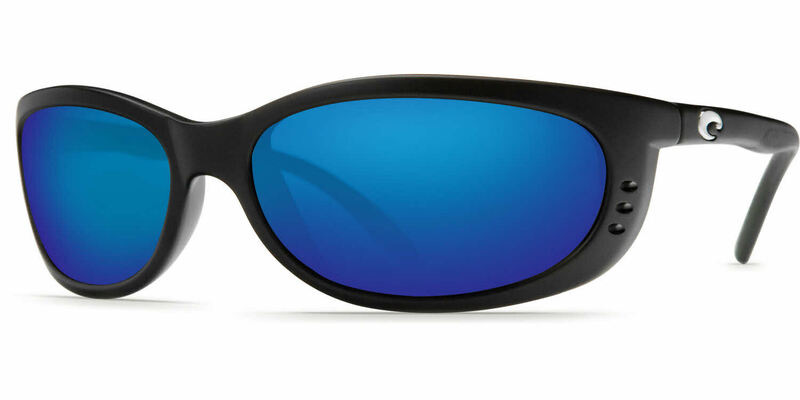 Costa Fathom shades come with a Hydrolite grip on the temples and nose bridge for added support and comfort. Costa designs all of their glasses from a bio-resin nylon which is biodegradable. Costa prides itself on being an eco-friendly company and does what they can to help our planet. For your water adventures, it's important to make sure you can see clearly! Whether you're baiting a hook or searching for fish, don't let poor vision interfere with your performance. At SportRx, you can add your prescription to your Costa fishing sunglasses! We have opticians ready to answer any questions you may have...so give 'em a call or chat!